Filed to: Team dog?Filed to: Team dog? I may have inadvertently trained my dog to be a cat. Here he is playing with yarn. I have a little desktop bell I tried to train him with to announce he wants a walk. This didn't work, because he's scared of the bell. 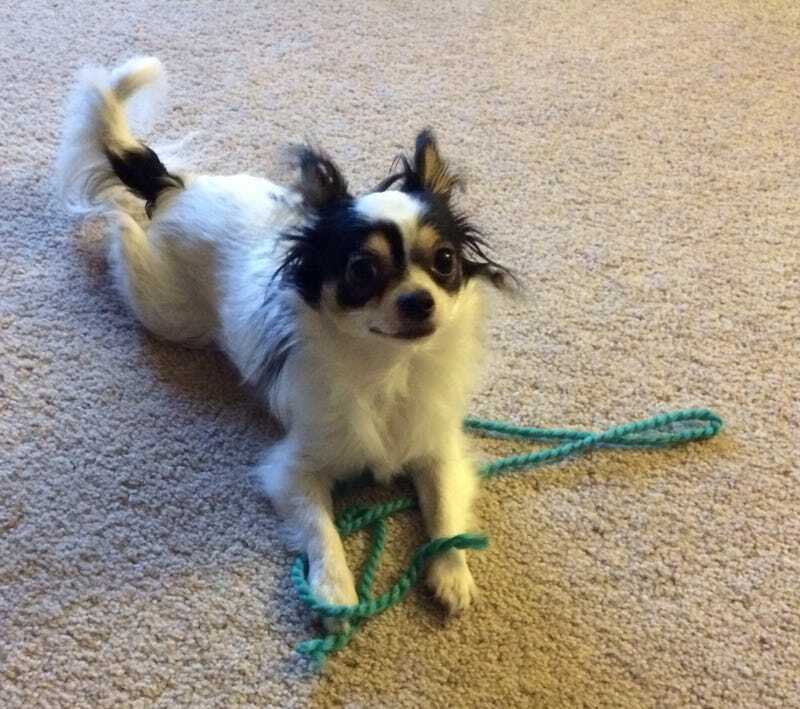 He just lightly tapped it with his paw while trying to reach for a toy, whined a bit, and lolled around with the yarn instead. It's probably because I decided to litter box train him when he was a puppy. I'm sure he'd mew if he were physically capable of it.